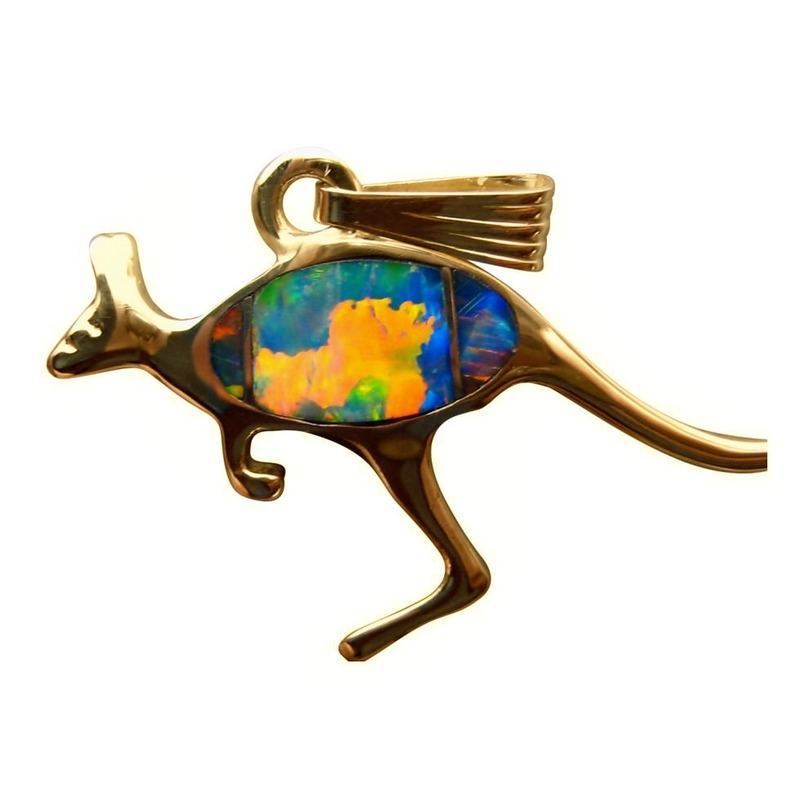 Extremely Bright Red Opal Kangaroo Pendant in 14k Gold. 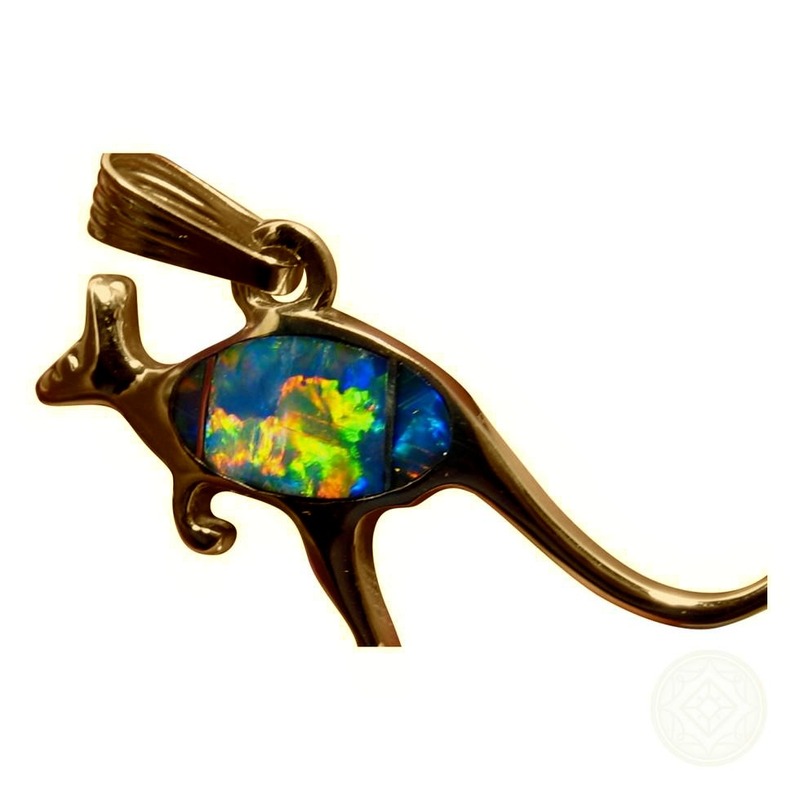 An Opal pendant fitting of Australian Opal being a 14k Gold Kangaroo that would make a quality Australian souvenir gift. 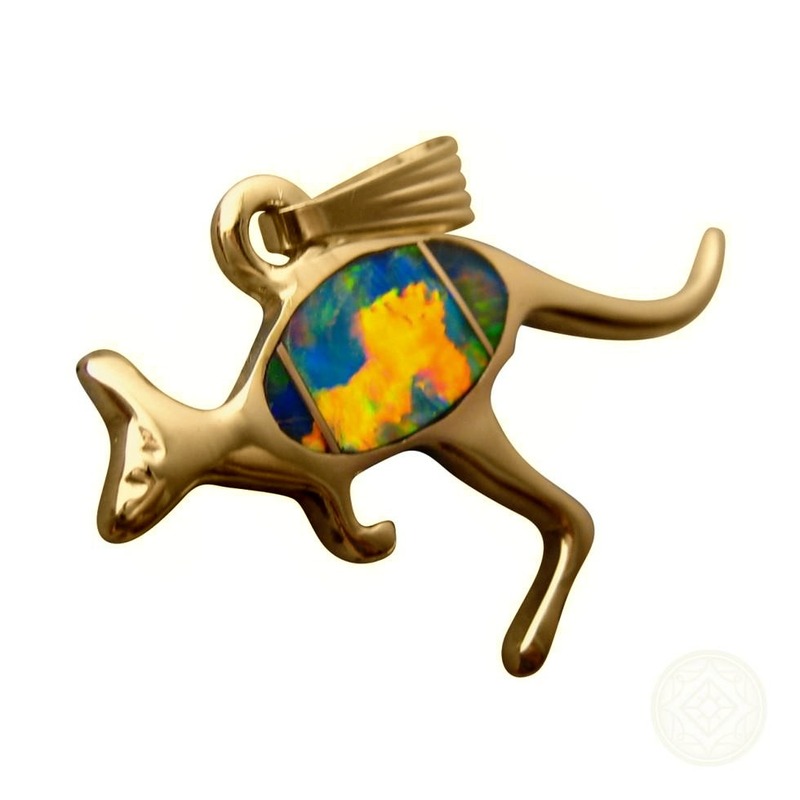 The pendant is inlaid in three sections with the largest Opal in the center and showing most Red. 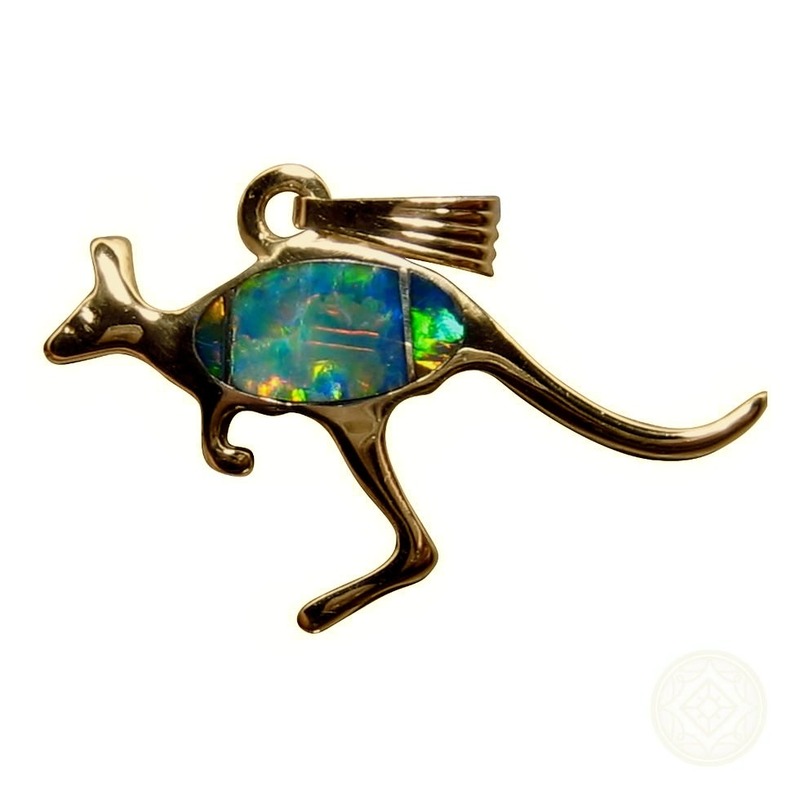 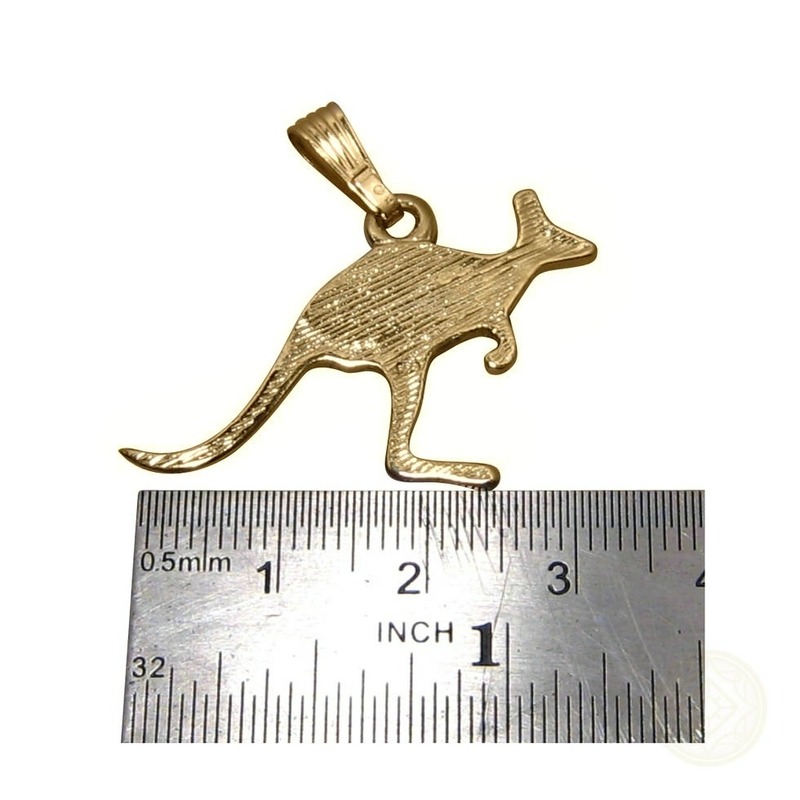 Amazing brightness in all Opal ensure this cute Kangaroo pendant will be noticed when worn.